Objects like consumer goods, vehicles and buildings are part of our environment. They reflect contemporary culture and even influence it; they have an impact on our lifestyle, behavior and self-esteem – ideally, with only positive effects and without us even noticing it. Good design is aware of the users’ needs and the variety of their lifestyles and understands how to address these with new products or the places that are to be designed. The processes that lead to successful designs differ depending on the relationship of the future user and the object. Consumer goods, personally owned vehicles and private buildings must address specific market segments in order to be successful. Public places and services as well as the objects that are designed for them must satisfy all potential users, represent the institution or community that owns them and harmonize with the given environment. 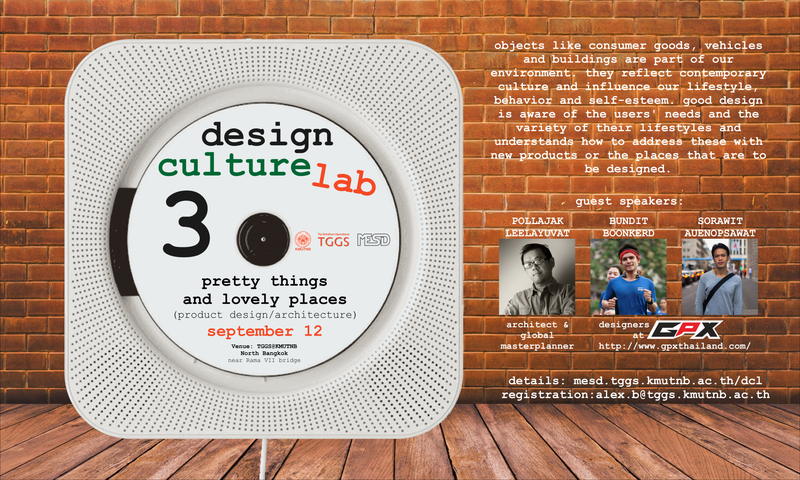 The third design culture lab continues our exploration away from the pure “engineering of rational tasks” into the “meaning of things” and the professional processes that deal with emotional and socio-cultural relations between users, objects, producers and designers. In the morning session, there will be an introduction to the methodology of product design with the focus on market segmentation and user experience design. 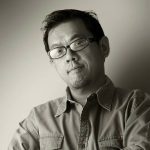 With the guest speakers in the afternoon, we represent two opposite professional viewpoints: designing spaces for global customers (architecture) on the one hand and designing lifestyle/mobility (motorbikes) specifically for the Thai market on the other. Mr. POLLAJAK LEELAYUVAT holds 4 degrees from the USA and Thailand and looks back on 20 years of professional experience in both countries, including positions as furniture builder, designer/fabricator, architect, studio manager and most lately associate director of the Bangkok office of a world-renowned company in global planning and architecture, Chapman Taylor. Projects range from show-rooms and shopping-complexes to resorts and residences and include clients as diverse as IKEA and Harley-Davidson. 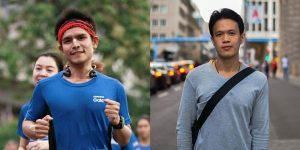 Mr. BUNDIT BOONKERD and Mr. SORAWIT AUENOPSAWAT are the GPX designers responsible for the latest exciting range of motorbikes of the all-Thai brand. They hold degrees of Rajamangala University of Technology Thanyaburi and King Mongkut’s Institute of Technology Ladkrabang respectively. Design is the activity in the value chain that poses the highest risk of failure due to technical uncertainties, lacking knowledge and wrongly assessed customer preferences. Design also is the most important prerequisite to ensure the future of any production-based business. 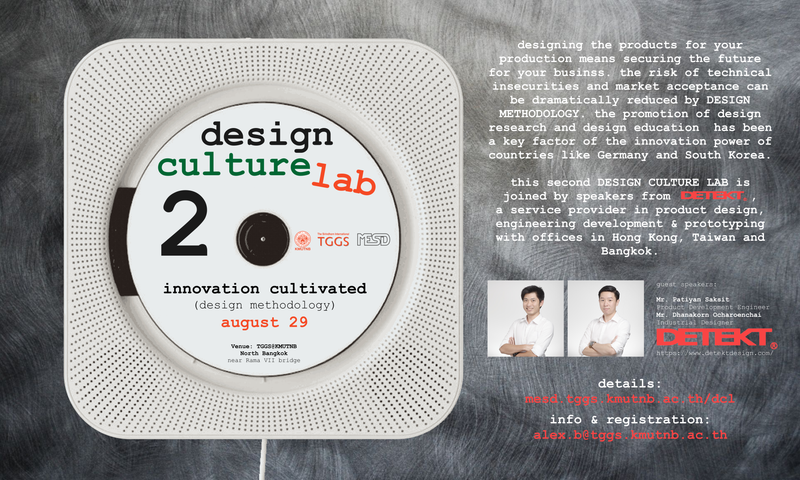 Economies that have realized the importance of design have invested in the development of design education and research. Most major Universities in Germany have established designated Chairs for Design Methodology in the 1970s. China and South Korea have more recently funded the development of their design-focused education. 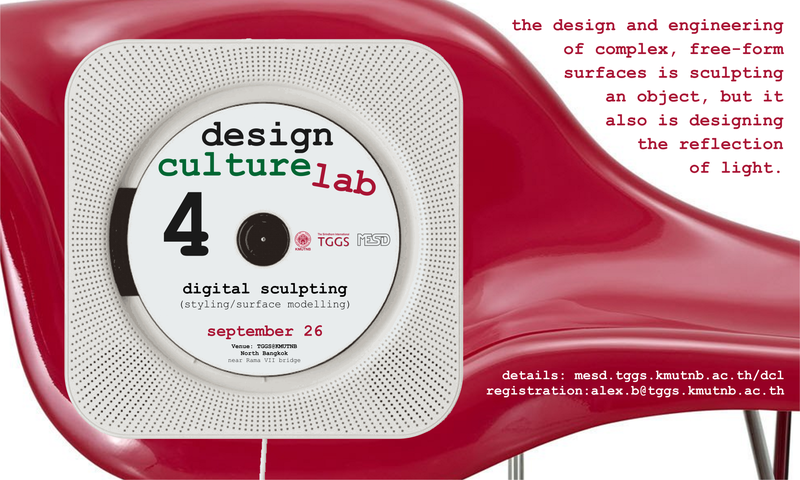 The second design culture lab gives insights into the systematic and theory-based approaches of both design domains that serve the producing industries, “Engineering Design” and “Industrial Design”. After this overview in the morning session, two practitioners, representing both domains but one international design service provider, will report on current trends in the industries. The event invites interested students, academics and professionals and encourages questions and an exchange of experience and opinions. Music is one of the oldest forms of human culture, and it is still evolving and an important part of most people’s lives. The evolution of music has been driven by technical developments and the improvement of musical instruments. Our musical system is governed by physics and math, but also by man-made conventions. Musical sound is caused by the vibration of solid bodies and air columns. Engineering sciences provide advanced tools to explore, understand and even simulate vibrations. 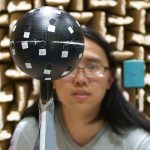 So, engineering knowledge can be used to understand musical sound, but musical sound can also be used to explain principles of vibration engineering. 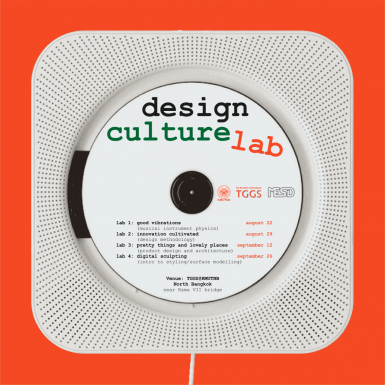 In the first design culture lab, we explore the interface between these two worlds to enhance understanding and enjoyment of both. 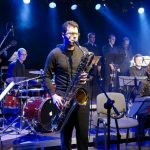 We will first demonstrate a substantial collection of instruments, mostly saxophones and clarinets, and explain the rules and principles of the musical language. 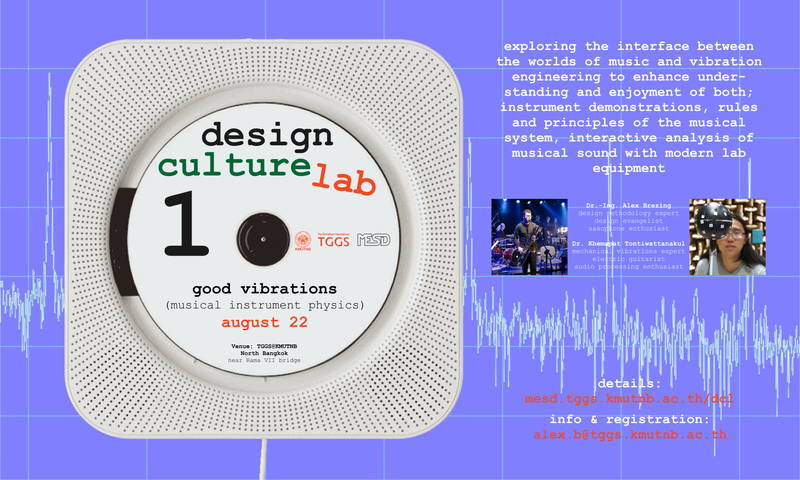 In the second part of the lab, we will use most modern equipment to analyze musical sound and compare different instruments. Finally, we will apply principles to the design a simple woodwind instrument. Dr.-Ing. 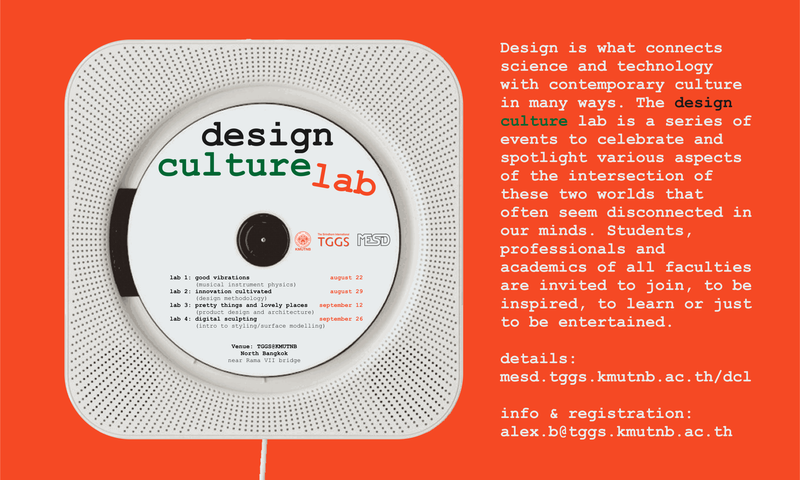 Alex Brezing is lecturer and researcher in the field of Design Methodology, coordinator of the MESD graduate program at TGGS, design evangelist and saxophone enthusiast. He has been collecting, repairing and customizing saxophones for almost 20 years. The oldest saxophone in his collection is celebrating its 100th birthday this year. Dr. Khemapat Tontiwattanakul is lecturer and researcher in the field of mechanical vibrations at the Faculty of Engineering at KMUTNB. In his spare time, he applies his knowledge to the electric guitar, preferring Les Paul-type instruments. He is very good with modern audio equipment and software.